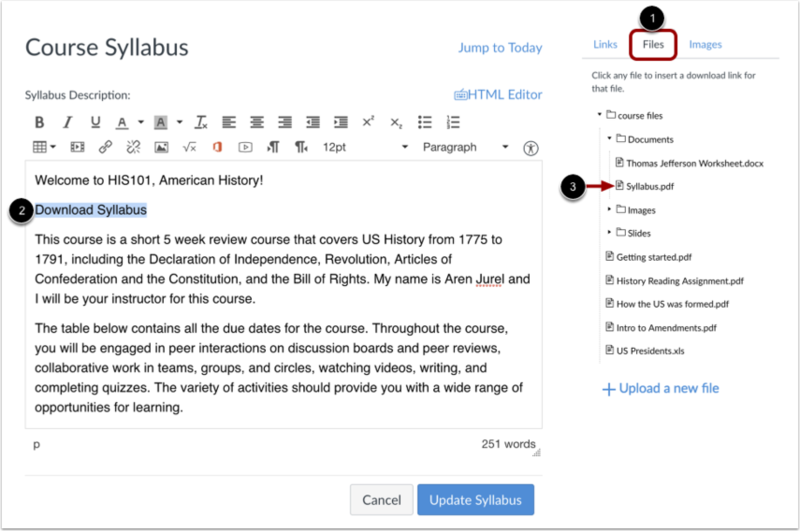 Editing the Syllabus allows you to add text and link files, images, and other course content in your Syllabus Description. Notes: Image files do not have a preview option when added as a file link through the Rich Content Editor. 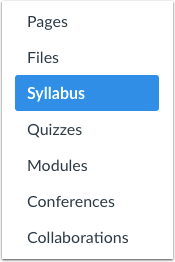 To add a PDF or Word document to your syllabus, view the Content Selector and click the Files link . You can upload a new file or select files you have uploaded previously. In the Rich Content Editor, highlight the text where you want to apply the file link . Click the file in the Content Selector ; in the Rich Content Editor, the text will turn blue noting the link is downloadable. Canvas will automatically create a preview of your document so that users don't have to download it before reading it. Note: To remove the document, click and highlight the text in the Rich Content Editor, and then press delete (MAC) or backspace (PC). Click the Update Syllabus button. Previous Topic:How do I use the Syllabus as an instructor? Next Topic:How do I use the Course Setup Checklist? 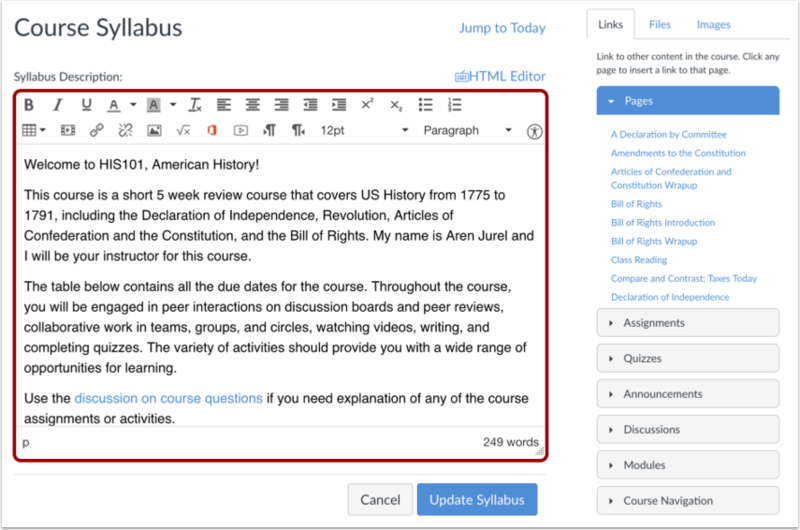 Table of Contents > Course Navigation > How do I edit the Syllabus description in a course? Re: how to import a syllabus? Re: Where to upload Syllabus doc in Canvas?